Not only is the INHALER one of the MOST EFFECTIVE forms of therapeutic aromatherapy, it is very convenient! Much more effective than sniffing from a bottle. Helps prevent infections. Immune stimulant. Inhalers should last approximately 6 months. Directions: Place at end of nostril and inhale deeply. Repeat several times throughout the day. 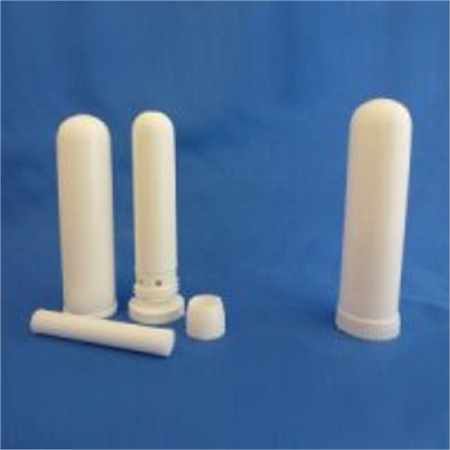 These are dense, medical grade white plastic devices specifically made for use with essential oils. Easy to make directions included with inhaler. Choose an appropriate Synergy to use with each inhaler, great for cold/flu, sinus, respiratory, anxiety, allergies, depression, chest congestion, emotional issues as well as seasonal issues; we have had great success with Anti-viral, Immune Boost, Respiratory, Arthritis, Pain, Headache, Stress Buster, to name a few. 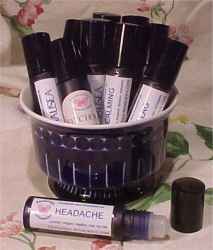 I don't recommend using a single essential oil either in a room diffuser or in a personal inhaler as it can become overwhelming and there are some EOs that cause headache when diffused along. A Synergy blend always works best. When using this higher grade device, and when filled properly, a personal inhaler should last 6 months or more. Disposable when scent is no longer noticeable. Do not use the thin, cheaply made Chinese devices, they will make a mess and waste your essential oils. Please email me if you need help with this. If you start this special blend immediately, you will avoid painful and dangerous bruising to an injured area. This is an ideal item to have in your emergency kit. E-mail me if you would like to see testimonial pictures. This remedy is extremely effective for chronic coughs due to bronchitis, asthma, whooping cough, allergies. Depending on the size of the skin tags, it should take about three to six weeks to see results. Apply 3 times daily to affected area for skin tags to dry up and easily flake off. Requires consistent use to see results. All natural organic ingredients include herbal extracts, jojoba oil, castor oil, essential oils.